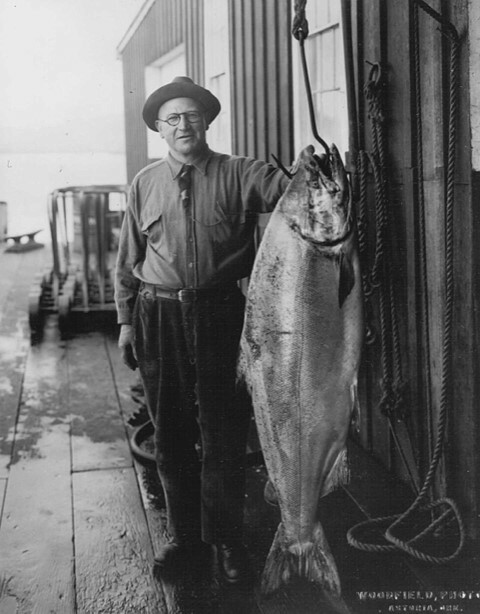 The largest and oldest Chinook salmon — fish also known as “kings” and prized for their exceptional size — have mostly disappeared along the West Coast. 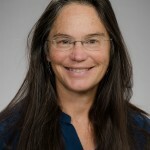 That’s the main finding of a new University of Washington-led study published Feb. 27 in the journal Fish and Fisheries. 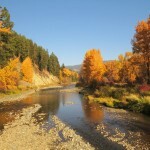 The researchers analyzed nearly 40 years of data from hatchery and wild Chinook populations from California to Alaska, looking broadly at patterns that emerged over the course of four decades and across thousands of miles of coastline. In general, Chinook salmon populations from Alaska showed the biggest reductions in age and size, with Washington salmon a close second. Chinook salmon are born in freshwater rivers and streams, then migrate to the ocean where they spend most of their lives feeding and growing to their spectacular body size. Each population’s lifestyle in the ocean varies, mainly depending on where they can find food. 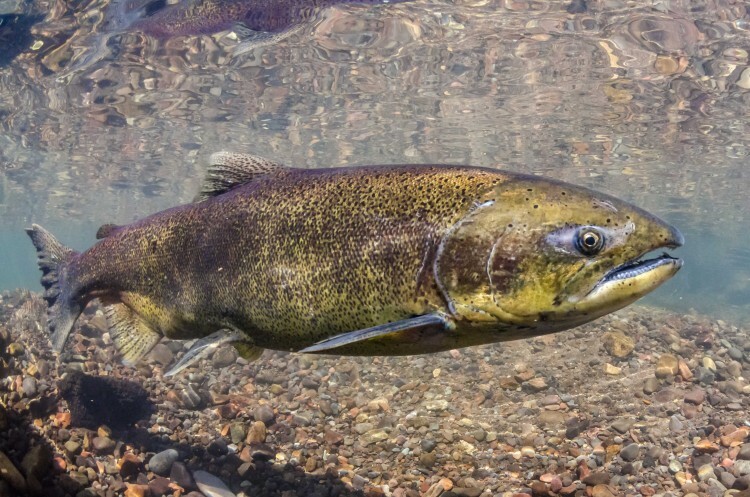 California Chinook salmon tend to stay in the marine waters off the coast, while Oregon and Washington fish often migrate thousands of miles northward along the west coast to the Gulf of Alaska where they feed. Western Alaska populations tend to travel to the Bering Sea. It used to be common to find Chinook salmon 40 inches or more in length, particularly in the Columbia River or Alaska’s Kenai Peninsula and Copper River regions. 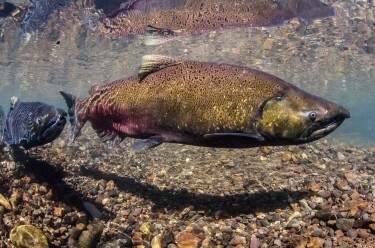 The reductions in size could have a long-term impact on the abundance of Chinook salmon, because smaller females carry fewer eggs, so over time the number of fish that hatch and survive to adulthood may decrease. There are likely many reasons for the changes in size and age, and the researchers say there is no “smoking gun.” Their analysis, however, points to fishing pressure and marine mammal predation as two of the bigger drivers. While southern resident killer whales that inhabit Puget Sound are in apparent decline, populations of northern resident killer whales, and those that reside in the Gulf of Alaska and along the Aleutian Islands, appear to be growing at extremely fast rates. The paper’s authors propose that these burgeoning northern populations are possibly a critical, but poorly understood, cause of the observed declines in Chinook salmon sizes. Co-authors are Eric Ward of NOAA’s Northwest Fisheries Science Center and Bert Lewis of the Alaska Department of Fish and Game. For more information, contact Ohlberger at janohl@uw.edu and Schindler at deschind@uw.edu.